Ker Sangri is a dish synonymous with Rajasthan. No wedding, festival, traditional celebration is complete without Ker Sangri on the menu. But have you ever heard or thought about combining Ker Sangri with pasta? 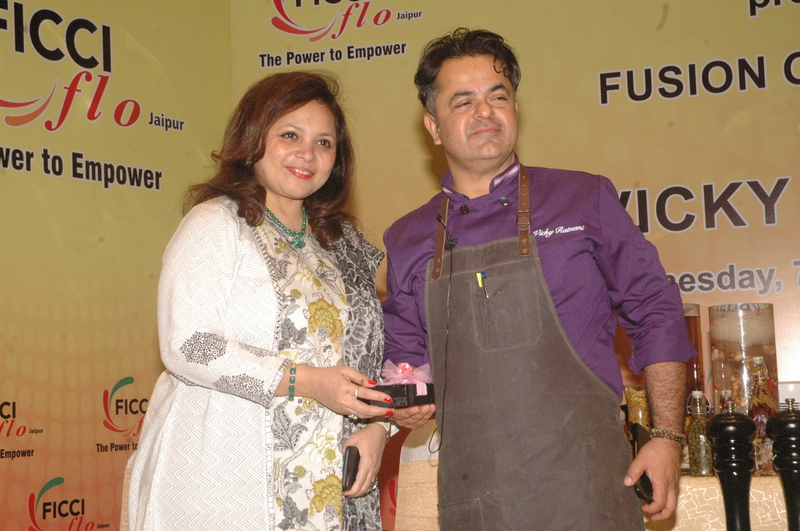 The Jaipur eves got a chance to learn some out of the box dishes like Ker Sangri Putanesca by celebrity chef Vicky Ratnani at a FICCI FLO session. The dish was essentially spaghetti mixed with ker sangri, ginger, garlic, chilli and cream. 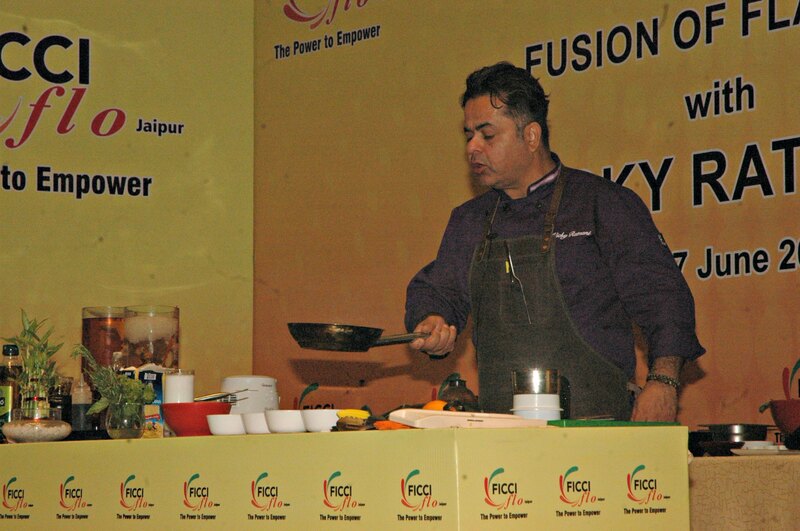 Telling about his fondness for food, Chef Vicky said that he had been fond of eating since childhood. His maternal family was full of good cooks but he didn’t always want to be a chef. He just knew that he didn’t want to be a businessman like his father. While he was doing a course in hospitality management, the chef in his cookery class appreciated his culinary skills and encouraged him to take up cooking as a profession. Since in those days there was no internet, Chef Vicky used to visit his college library regularly to enrich his knowledge about recipes from magazines like Femina and Illustrated Weekly. 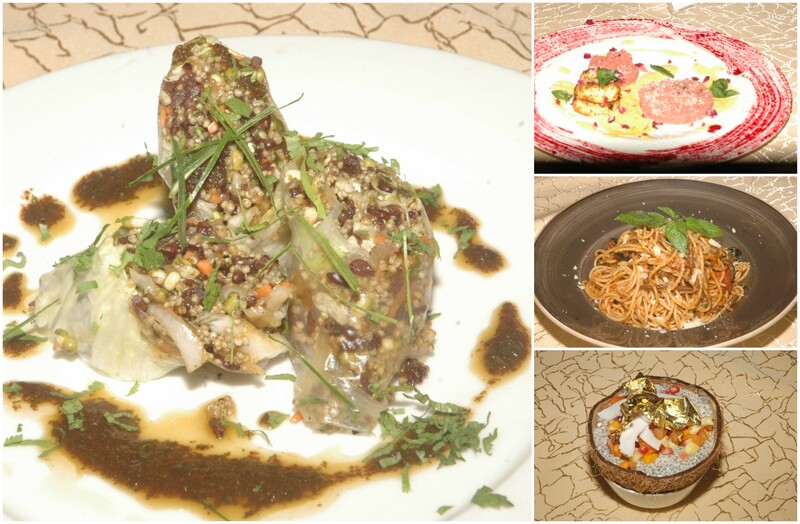 Other dishes which he made during the cookery session were harissa cottage cheese served with mango and orange sauce and beetroot cous cous as well as black rice filled Vietnamese paper rolls. The session concluded on a sweet note with a different yet easy to make dessert – Coconut Chia pudding. 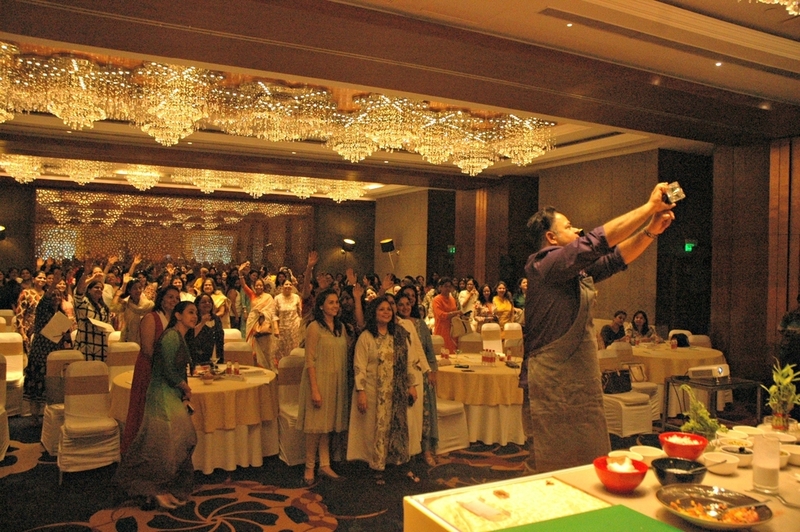 “Chia is a super food that is now being used as a major replacement for egg in baking”, informed Chef Vicky as most of the attendees were not aware of what chia is. “It can also be used to flavour water instead of the usual lime, mint, orange and basil”, he opined. Made using coconut milk, maple syrup, chia and seasonal fruits, the dessert was totally gluten free, vegan as well as a vegetarian. To make the pudding dramatic, it was served in coconut shells and garnished with gold leaves and coconut slices. Shedding light on the shifts in the culinary industry, Chef Vicky said that in the past two decades there have been major breakthroughs in the industry. The level of competitiveness has increased which is a sign of progress. Now there are a plethora of options available for people to take up such as home cooks, food blogging, food photography, YouTube cookery channel, food and restaurant consultancy, among others. 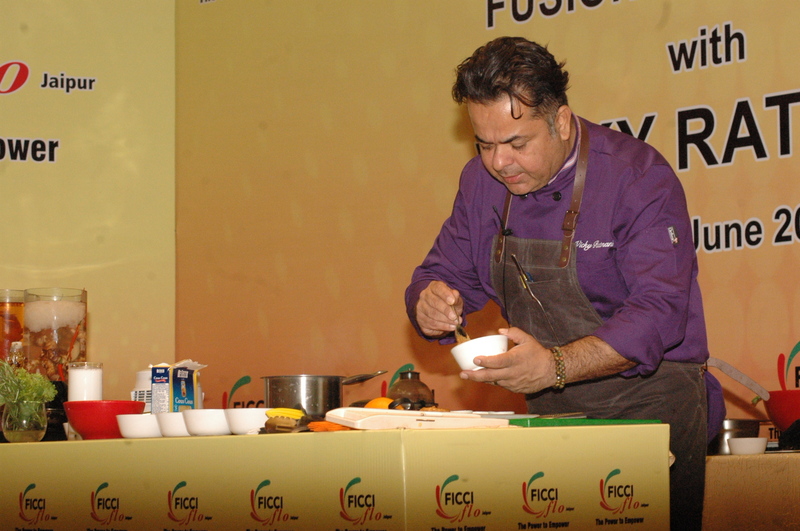 On being asked what he loves to cook when he is at home, Chef Vicky said: “When you cook fancy, you eat simple. Rajma Chawal, Biryani and eggs are some of my favourite comfort foods.” Apart from cooking, the chef loves to travel, click pictures and listen to music. Use vegetable peels for making a stock and storing it in zip pouches or ice trays in the freezer for future use. Dressings can also be made beforehand and stored in fridge in air tight containers. Herbs should only be cut before being used for cooking as they can retain their flavor for a short span of time only. It is important to rinse quinoa thoroughly before using it to do away with its bitter taste. Dressings can be made easily at home using any oil, citrus, salt and pepper as well as flavouring. Recipes are only guidelines to understand the cooking technique. The ingredients can be altered according to one’s taste and what’s available locally.